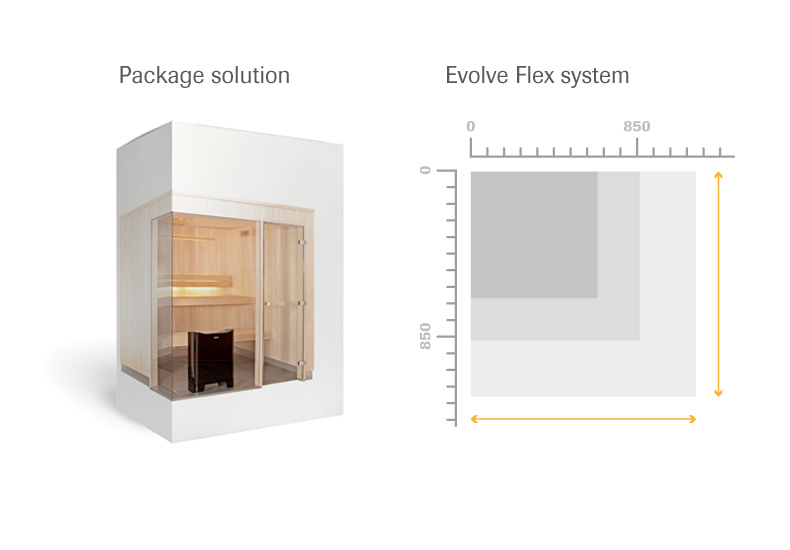 Discover the incredible, life enhancing luxury of the Evolve Plus Glass Front home sauna rooms. 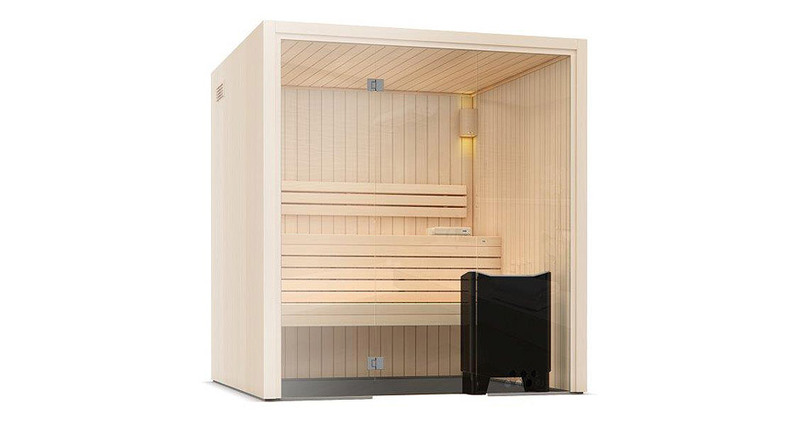 Easily one of the best traditional saunas for sale on the UK market the Tylo Evolve GF exudes the perfect combination of style and functionality. If you’re looking for a home sauna the Evolve GF is definitely worth considering. The Evolve GF has open front aesthetics which mean you benefit from additional communal and spatial benefits on top of the usual optimum sauna benefits. The Tylo Evolve Plus GF comes in 11 different variations and Leisurequip can supply and install any of these home saunas anywhere in the UK and across Europe. Out of the box the Evolve GF has everything you require for traditional home sauna bathing. The Evolve Glass Front saunas exclusively come with the DGL Plus sauna door which has a ‘no threshold’ option. Evolve saunas can also be supplied with additional aspen benches and backrest. The Evolve ‘Flex’ system is modular and prefabricated which means installation is a breeze. New advances in traditional saunas for sale and assembly technology such as ‘concealed nailing’ result in seamless panelling both inside and out. The aluminium flooring is adjustable and helps moisture protect the walls. You also have the added option of choosing between 2 heights or 2100mm or 2010mm. As with the rest of the Evolve range of home saunas for sale the Glass Front (GF) also benefits from horizontal or vertical aspen bench strips. The exclusive DGL Plus clear glass door has a choice of either a spruce or aspen frame. The Tylo Evolve GF comes in 17 different variations and we can supply and install any of these home saunas for sale anywhere in the UK or internationally.